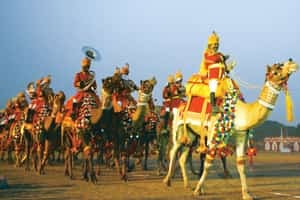 New Delhi: India plans to send combat-trained camels to solve the transport headache facing a fledgling UN-African Union peacekeeping force in Sudan’s strife-torn Darfur region, officers here say. The Border Security Force (BSF) said it received a request last week from the United Nations to send the specially schooled animals to the troubled African region. “In principle, the BSF has agreed to the request and will wait for the UN to approach it through the ministry of home affairs," said the chief of India’s elite 200,000-member frontier force, A. K. Mitra. The US also said it was “deeply troubled" by the government of Sudan’s “foot-dragging and obstruction" on the joint UN-African Union peacekeeping force in Darfur. But diplomats say several Western countries that are able to provide hardware such as helicopters are reluctant to do so because of a lack of confidence in the command and control structure for the joint force. The BSF in India also warned that the deployment of trained camels to transport foot soldiers in Darfur could take some time . “All our camels are engaged in border guarding duties and this whole process could take a long time," said BSF spokesman Vijay Singh, adding the agency could currently spare up to 60 of its 700-plus battle-ready animals for Sudan. Indian border security forces use camels for long-range reconnaissance, including night patrols to track arms and drugs smugglers heading into the western states of Rajasthan and Gujarat from nearby Pakistan. India and South Africa are the only countries known to use camels for military purposes. 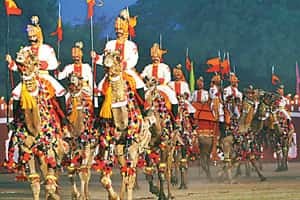 BSF deputy commandant Kamal Kumar Rathore, who heads the force’s camel division, said India could purchase the animals from the open market and transport them to Sudan after a crash course in combat. “Our camels move up to 80km with short breaks carrying ammunition and two mounts, and they would be perfect.... I would be happy to lead them into Sudan," Rathore said. Transferring the animals could be a logistical headache —although the Indian Air Force is equipped with huge Russian-made Illushin-76 transport aircraft capable of handling tanks and trucks.